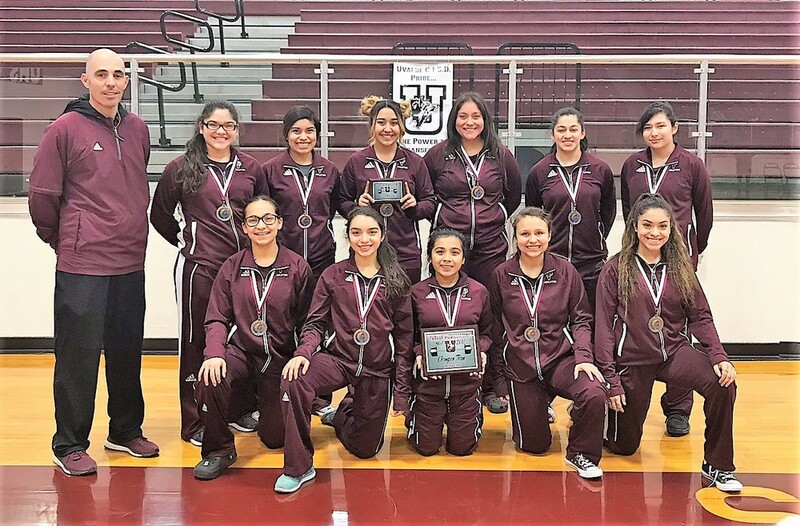 This past Saturday, the Dilley High School Varsity Girls Powerlifting team competed in Uvalde for their fourth powerlifting meet of the season at Uvalde High School’s Annual 2018 Powerlifting Championship. - Varsity Girls Team: Finished in 1st Place / 58 points winning on tie breaker (5) -1st Place finishes vs. Carrizo Springs (3) - 1st Place finishes. The Dilley High School Varsity Girls and Boys Powerlifting teams will be competing on Saturday, February 17, 2018 at the “2018 Annual Crystal City Powerlifting Championship”. This will be the last Regular Season Meet for Varsity Girls competition before Regionals.